Its only 8 days to go until South Africa’s biggest and baddest LAN happens at the Coca-Cola Dome in Northgate. This year there will be 2,580 gamers (girls and guys), aged between 4 and 60, setting up their PC’s for 3 days and 2 nights of non-stop gaming. 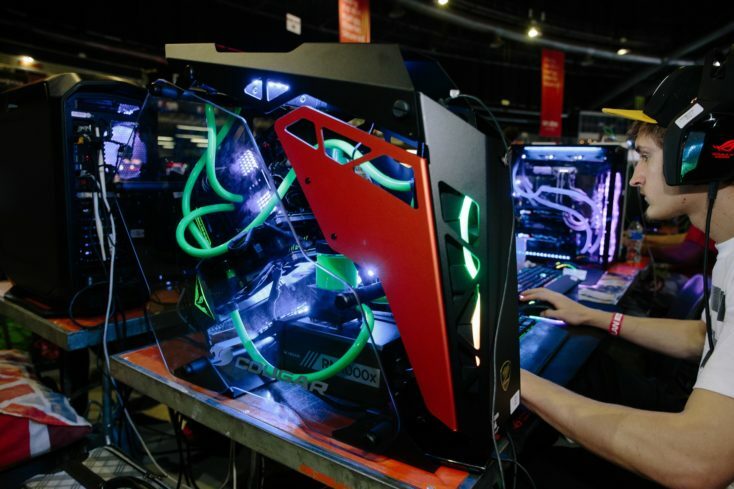 The NAG LAN @ rAge is not all play though; it does involve some very impressive technology to allow the gamers to keep that broad smile on for all 52 hours of gaming. To give you some insight into what the infrastructure is, we chatted with Erich Blaschczok, one of the co-owners of VC, who has managed and run the NAG LAN for the past nine years. NAG: Can you give us a breakdown of what it takes to make a LAN of this size happen? To put it simply, it is a truly remarkable achievement that tests the character and abilities of all involved (including the equipment). NAG: Let’s get a bit technical – can you tell us about the network? 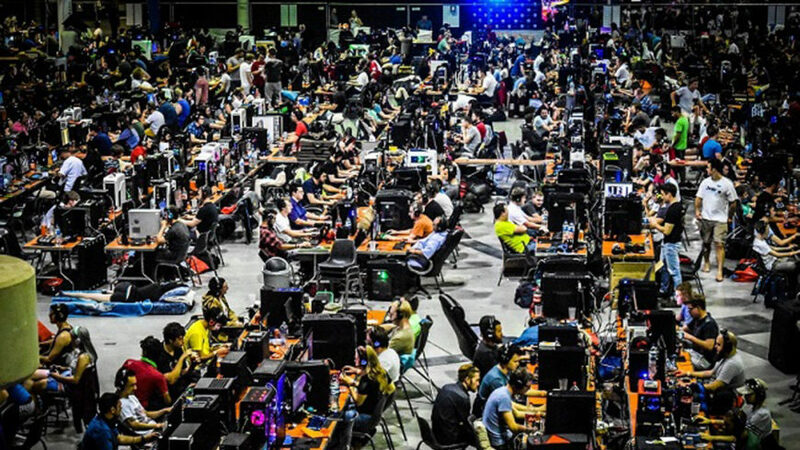 Erich: The network for the NAG LAN @ rAge this year will comprise of two distinct sections – firstly the Open LAN having 1,980 participants, and secondly the Telkom Do Gaming Championships comprising of 600 gamers. The network design allows for a 3 tiered approach. The tiers are defined as Access, Distribution and Core. HP have continued their support of rAge and are supplying all the Open LAN network equipment required for making the 10 year rAge anniversary dream a reality. The “Core” switches are multiport Gigabit Layer 3 switches. It allows for Layer 2 switching, Layer 3 services, Layer 3 routing, Auto-MDIX, Management, autosensing 10/100/1000 ports, 10-GbE ports (with optional module), 1000 Mb Latency < 3.4 µs (FIFO 64-byte packets), 10 Gbps Latency < 2.1 µs (FIFO 64-byte packets), throughput up to 111.5 million pps, routing/switching capacity 149.8 Gbps, switch fabric speed 153.6 Gbps, routing table size of 10000 entries and MAC address table size of 64000 entries. The core section comprises 4 switches with are link via 10G fibre. The distribution switches are Gigabit Layer 2 switches with 24 to 48 port density. The distribution section comprises 10 switches. The access layer is where the gamers plug in their monstrous gaming rigs. Thus 1980 10/100 Mb/s ports are required. This is accomplished by utilizing 48 Layer 2 switches with port density of 48, 9 Layer two switches with a port density of 24. These switches are monitored and managed remotely via the administration VLAN. The Telkom Do Gaming section network is supplied by D-Link. The network approach has followed the same three tiered approach. 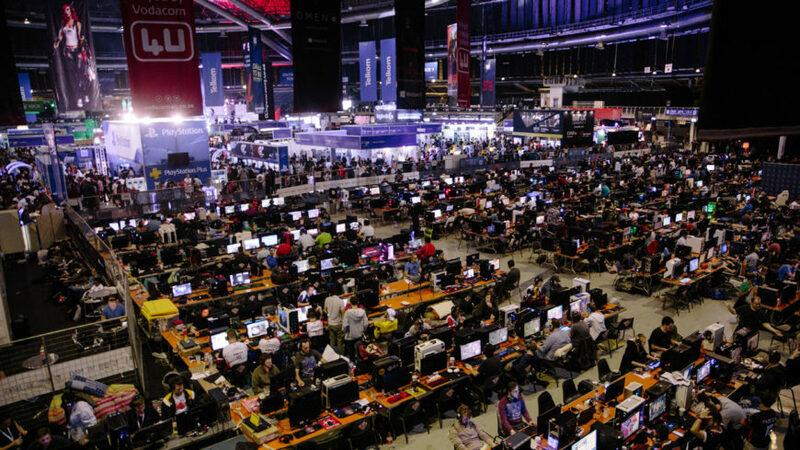 With roughly 600 gamers the network comprises of 1 Core layer 3 switch, 4 distribution switches of Layer 2/3 and 27 access switches being a mixture of layer 2 managed switches and unmanaged fast Ethernet switches. NAG: Gamers always want to know about the Internet. 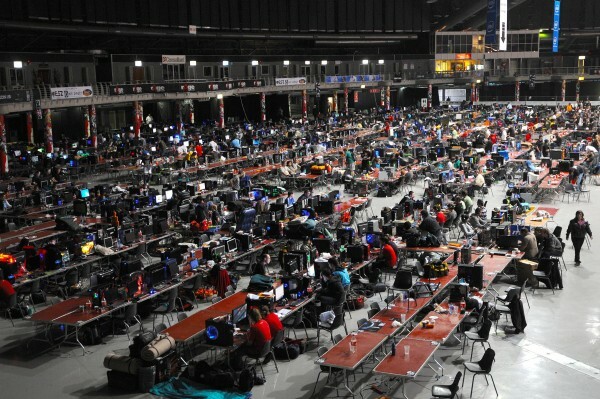 What setup is in place and will it be sufficient for a LAN of this size?  Erich: With many of the new games requiring internet connectivity for authentication, or continued connection for accessing servers, rAge is challenged by providing these services to all the gamers. Due to prohibitive costs of alternate technologies, ADSL presented as the only viable solution for the LAN. Internet for the Open LAN is provided by 30 10M ADSL lines whose bandwidth is aggregated. The bandwidth is then further managed and limited by VC to allow only the most essential game related traffic. ADSL technology presents limitations when the underlying infrastructure requires excessive copper cabling to the clients and where there is a high contention ration for the shared upstream bandwidth. To address this problem Telkom have installed a new dedicated exchange for the Dome, allowing for 300 10M lines to be connected directly to the backbone infrastructure. This exchange is dedicated to the Dome, and as such does not share bandwidth with other business or residential areas. Hi bit rate cabling is utilized from the exchange up to the marshaling cubicle located inside the Dome. This allows for insignificant signal loss and interference, the bane of installations on old copper infrastructure. This exchange has also been put on high priority monitoring for the duration of the event. Two dedicated Telkom technicians are on site to address any possible concerns for the duration of the event. NAG: And Internet for the DGL Championships? Erich: The Telkom Do Gaming section has a dedicated 100M fibre signal that will be utilized to connect their gamers to the internet. Several 10M ADSL lines are on standby as a backup. The games being hosted are Battlefield 3, StarCraft 2, Modern Warfare 3, Call of Duty 4, Grand Turismo 5 and FIFA. 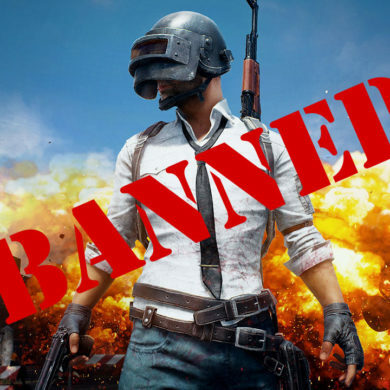 As a first in South Africa, two of the online Battlefield servers have been white listed for use at the event. Thus these two servers will be located at the Dome, to allow only the best possible performance for these critical final games. Erich: All these ADSL lines require an ISP to supply the required bandwidth. Afrihost have allocated 7TB (7168GB) of data for the LAN. This bandwidth is for the Open LAN only, and does not include the bandwidth for the expo or the Telkom Do Gaming section. The account has been setup to allow a single account to be accessed from 33 locations while all sharing the same data allocation. Additional data has been added to facilitate testing. Gamers agree that latency kills the game, and testing of Afrihost infrastructure proved that very low response values (pings) are the order of the day. NAG: Intel are providing one of the key components for a LAN, the servers. Can you give us the specs? Servers run mostly Windows Server R2 64 bit editions, although Linux also managed to make the grade. NAG: Thanks Erich – any last words? 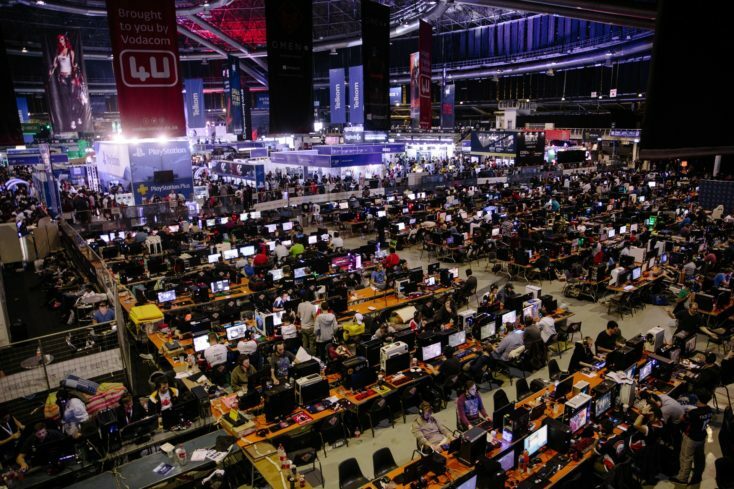 Erich: Involvement from sponsors such as Corex, Intel, HP, D-Link and Afrihost effectively results in supporting the realization of the biggest recreational LAN on the African continent and Southern hemisphere.  We thank them for partnering with us and being at the forefront of gaming in SA.